The family of a boy with a rare condition which means going to sleep could kill him are raising money for an "alert" dog to watch over him. 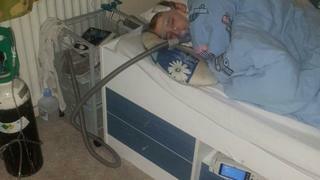 Benji Bowker, from Huddersfield, has a rare condition which means he stops breathing when he falls asleep. The 10-year-old, who also suffered brain damage at birth, is currently monitored through the night by a nurse. His family told the Huddersfield Examiner a dog would offer him more privacy as he gets older. Dad Justin said: "When Benji is asleep he is unable to breathe without the help of a machine, and is currently looked after by a nurse, 365 days a year." He said having a trained medical alert assistance dog would afford Benji more privacy in his teenage years. However, he said the dog, which would be trained to raise the alarm if there was a problem, would cost about £11,000. The family is also raising money for Benji to have stem cell treatment on the damaged parts of his brain. Mr Bowker said his son, who loves Bruce Lee films, football and rugby, has short-term memory loss, and is currently working at the level of a five-year-old. He said the family is worried he will not be able to attend a mainstream secondary school. Doctors have told Mr Bowker stem cell treatment could improve Benji's brain function by up to 50/60 per cent. "Anything we can do to give him a chance of living a more normal life, and fitting in with his peers has to be worth a go," he said. Mr Bowker said he has been overwhelmed by the response to the fundraising appeal, which has so far raised over £16,000 of the £25,000 needed. "It's been quite emotional," he said.